Steps to Lake Harriet, Rose Gardens and Lyndale Park! Larger lot than most in the neighborhood. Beautiful stained glass window, hardwood floors, 9 foot ceilings, added wine cellar. New carpet in basement, master bedroom and stairwells, fresh paint throughout. Beautiful fenced in side yard (rare find in Minneapolis) has 3 raised beds for growing all of your favorite vegetables and flowers. You will not want to miss this gorgeous home! I was searching for a Property and found this listing (MLS #5147425). I would like to schedule a showing for 4200 Colfax Avenue S Minneapolis, MN 55409. Thank you! I was searching for a Property and found this listing (MLS #5147425). Please send me more information regarding 4200 Colfax Avenue S Minneapolis, MN 55409. Thank you! Listing provided courtesy of Kris Lindahl Real Estate. 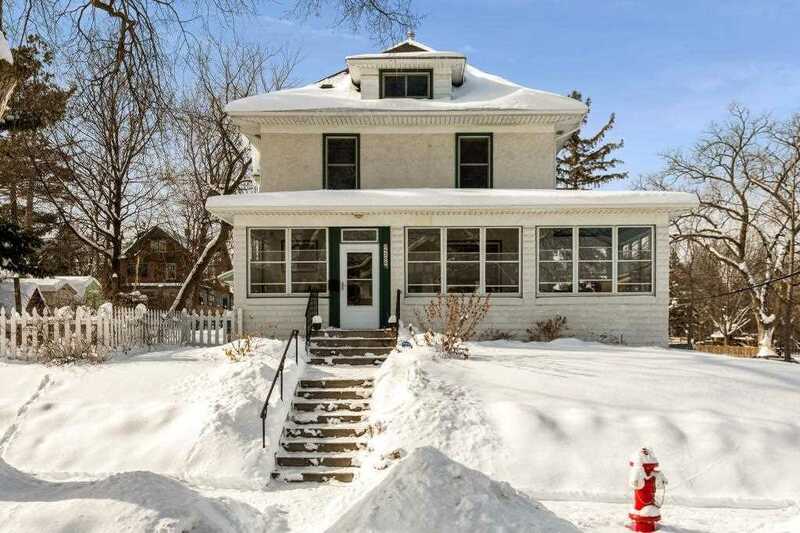 MLS® 5147425: This property at 4200 Colfax Avenue S, Minneapolis, MN 55409 is located in the East Harriet subdivision and is listed for $485,000. MLS® 5147425 has been on the market for 8 days.